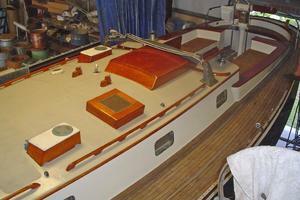 Cherubini Family will tell you that "boat building is a family tradition". 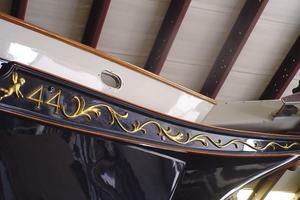 The boats are known worldwide for their high quality build, their light air performance, and for their spectacular beauty. 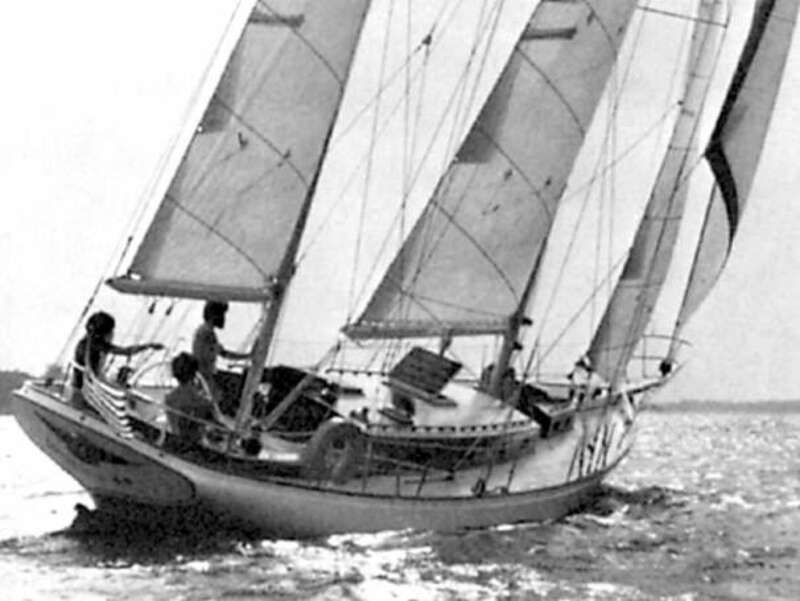 Cherubini Yachts enjoys a rich heritage of design and craftsmanship dating back to the 1920's; and, in fact, world-renowned for the Cherubini 44 Ketch. 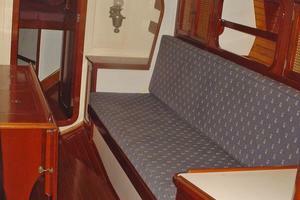 Cherubini owners tend to be loyal and true, die-hard sailors who appreciate the Cherubini elegance, function, and blue water sailing "Magic". 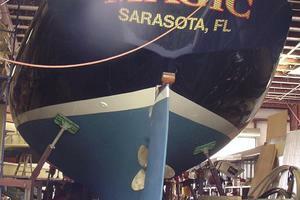 "MAGIC" IS NO EXCEPTION!! 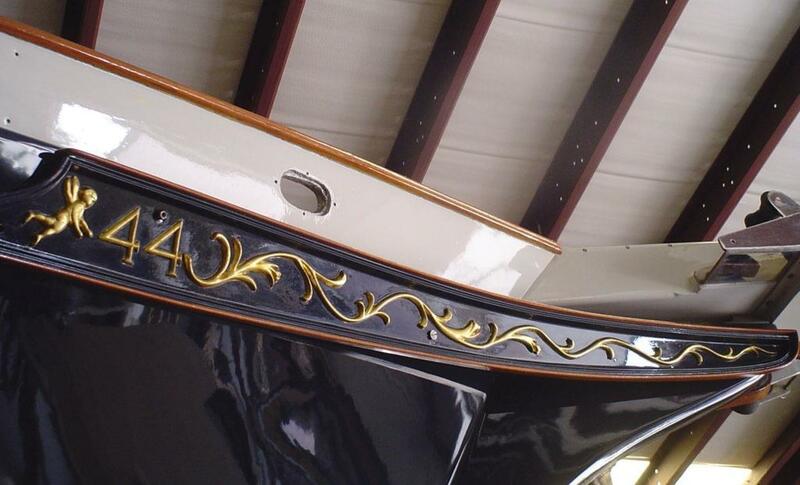 Her Owner is a true Cherubini afficionado and dedicated loyalist to the Cherubini "Magic". 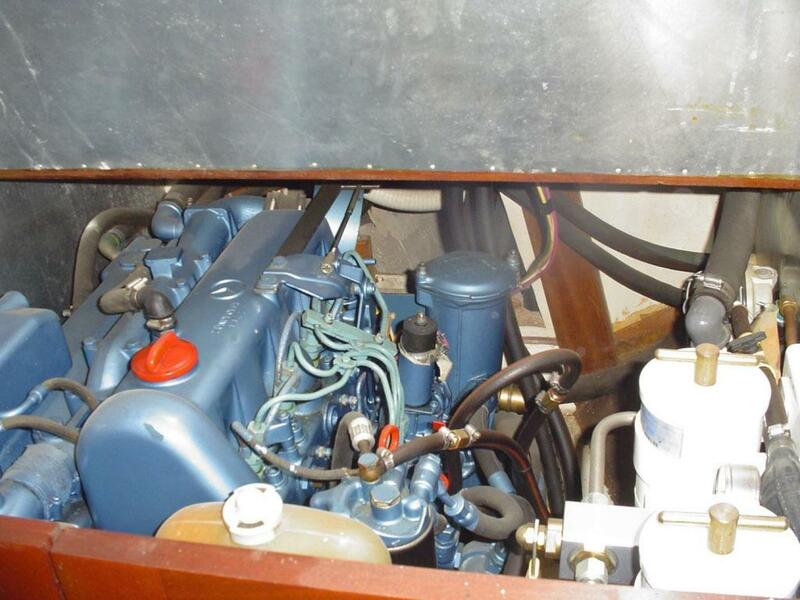 He has been upgrading her for the past couple of years and if you could see her on site you would believe every word of this message. 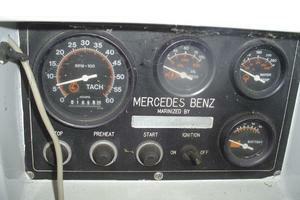 Powered by a Mercedes Benz (76HP) diesel engine with only 1,648 hours. 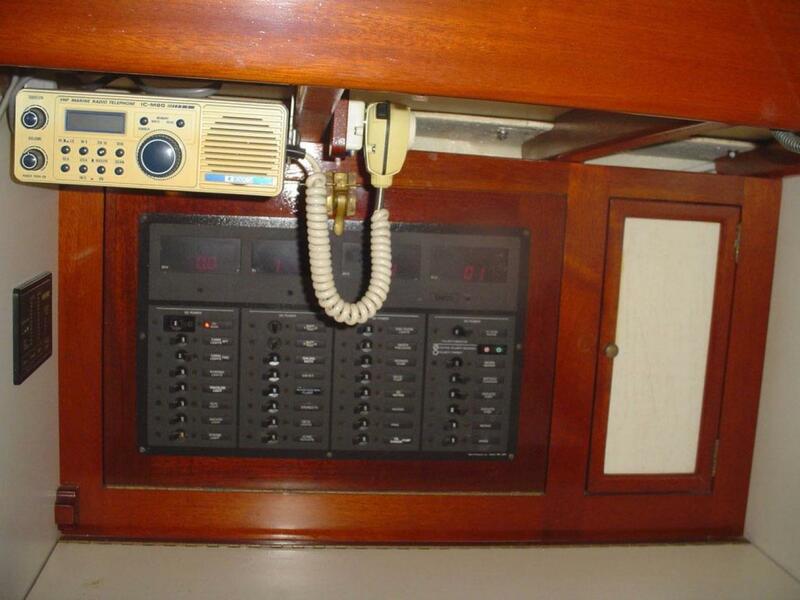 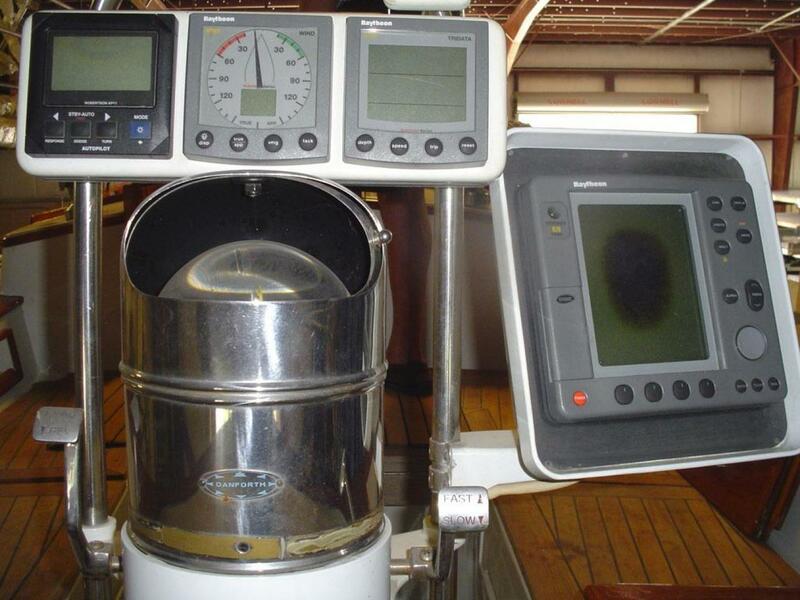 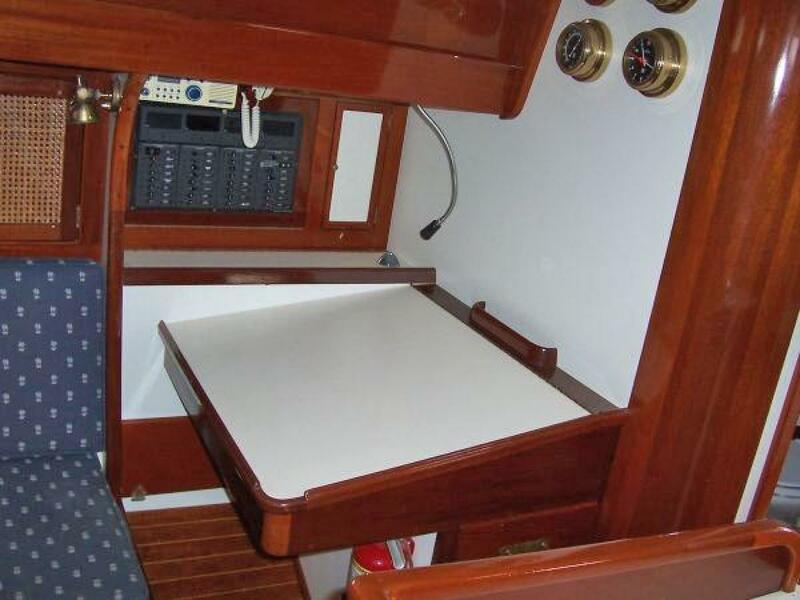 She has a strong electronic's package which includes Raytheon ST60 Wind Indicator, Raytheon ST60 Tri-Data, Raytheon RL70 Pathfinder/Radar, Simrad AutoPilot, and Danforth Constellation Compass on the Edson Pedestal. 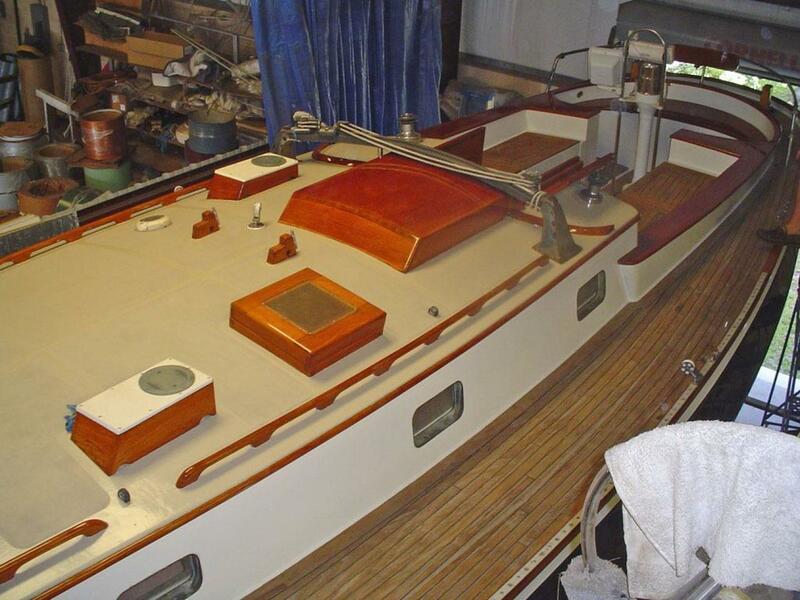 "MAGIC" has NEW Marine Blue Awlgrip Hull, NEW Bright Work with gold leaf Cherubini Scroll work, 2 NEW fuel tanks with dual filter arrangement, NEW water tank; and the Owner is installing NEW Holding Tank and NEW manual toilet. 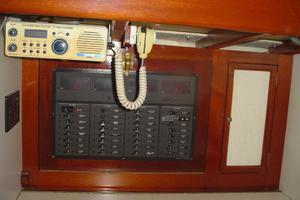 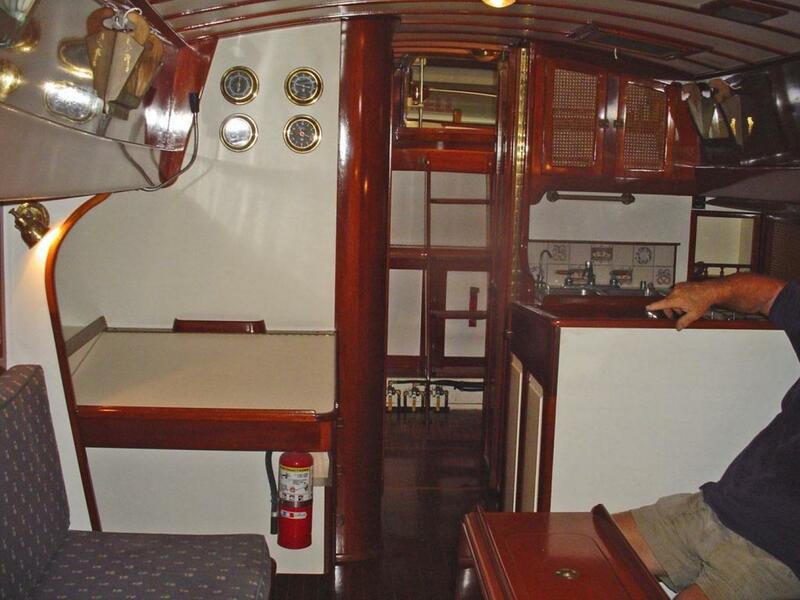 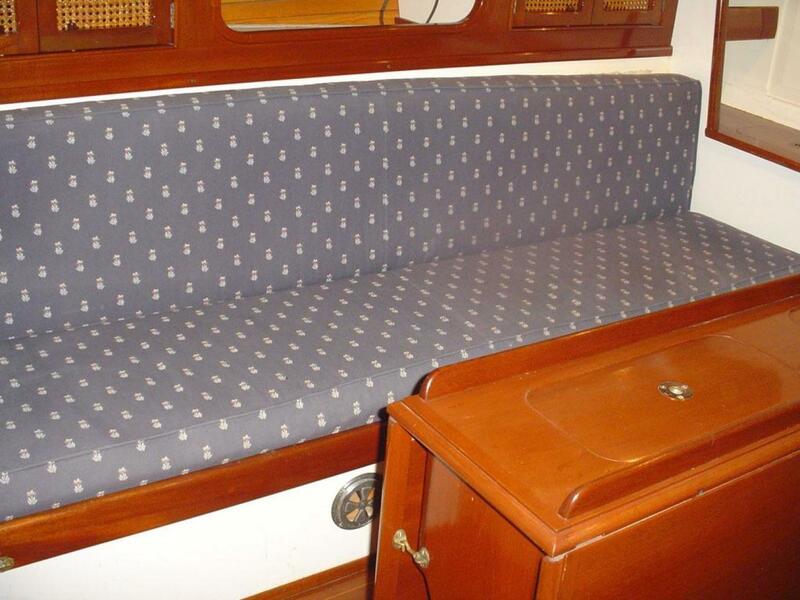 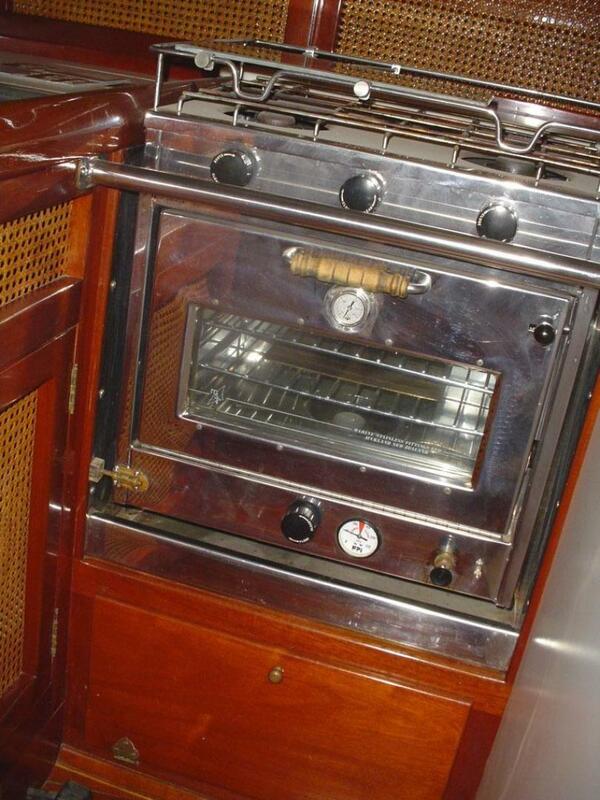 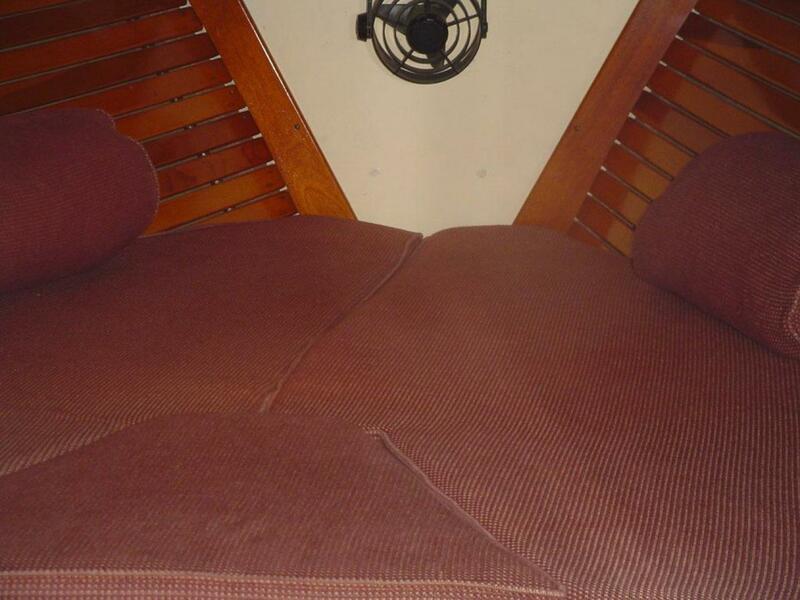 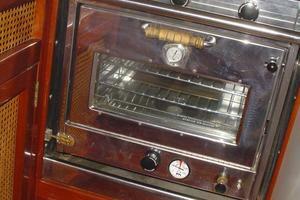 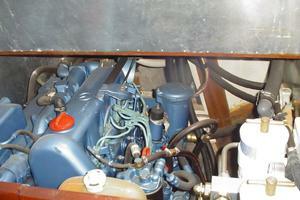 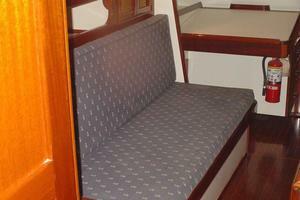 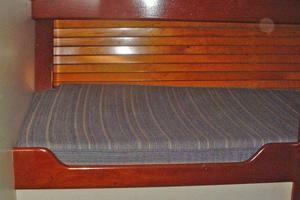 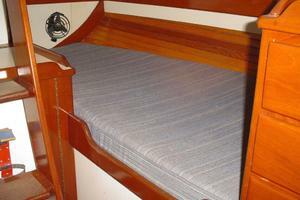 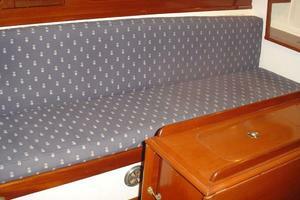 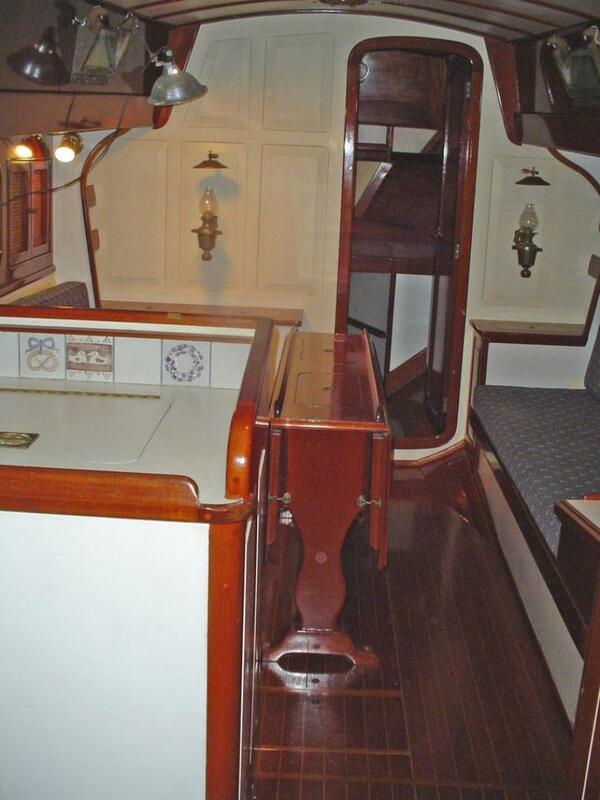 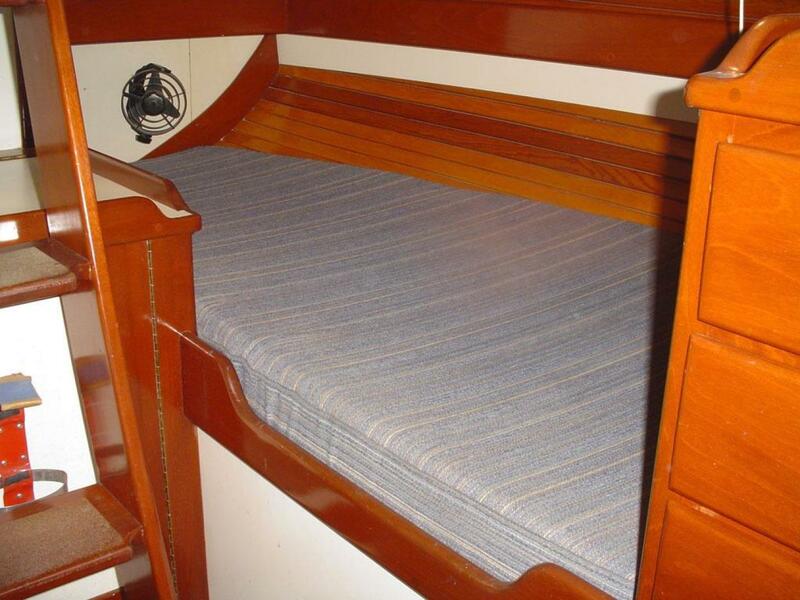 Original beautiful mahogany interior sleeps 7 in 6 berths with one head and shower. 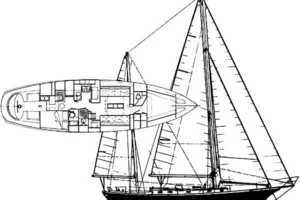 Sails include a main, genoa, staysail, spinnaker and mizzen. 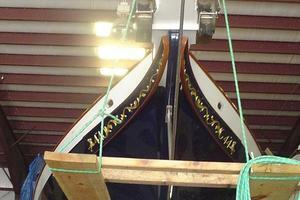 Rod rigging with Lewmar 16 self-tailing winches, port and starboard. 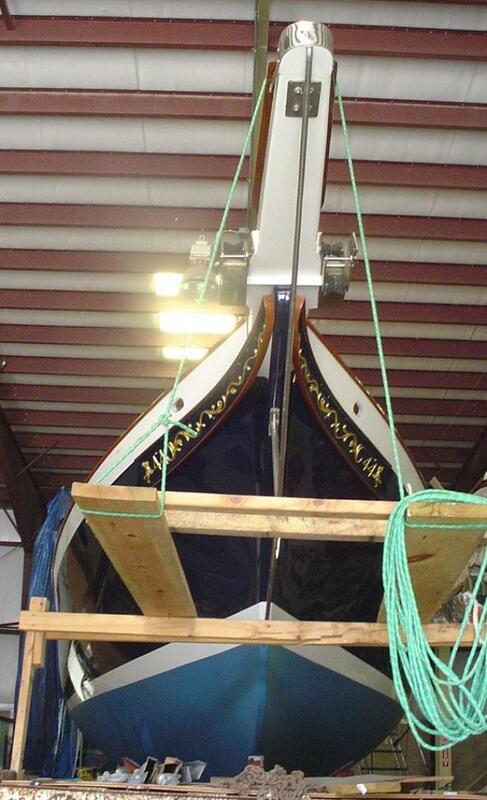 "MAGIC" is ready to go back into the water. 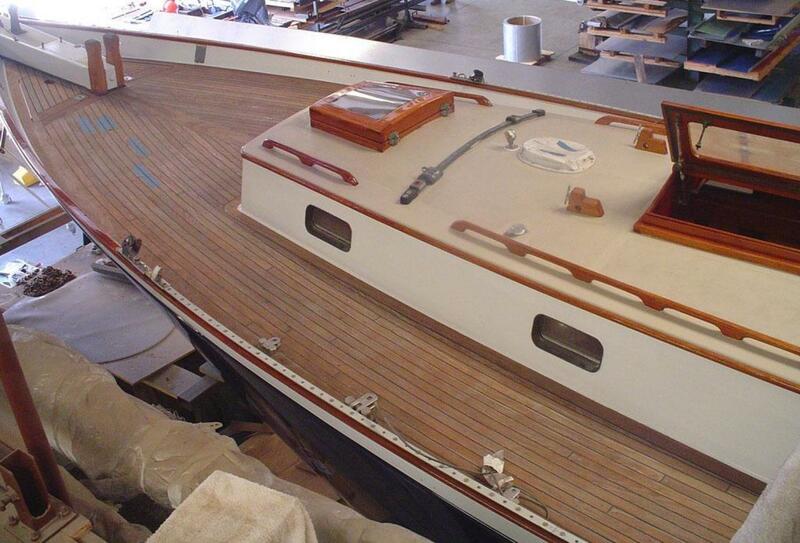 She has been stored in an environment controlled shop during all of her upgrades. 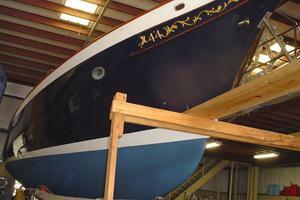 All she needs is to have the rigging re-installed; and the Owner has the professional staff to do just that in a matter of a few days. 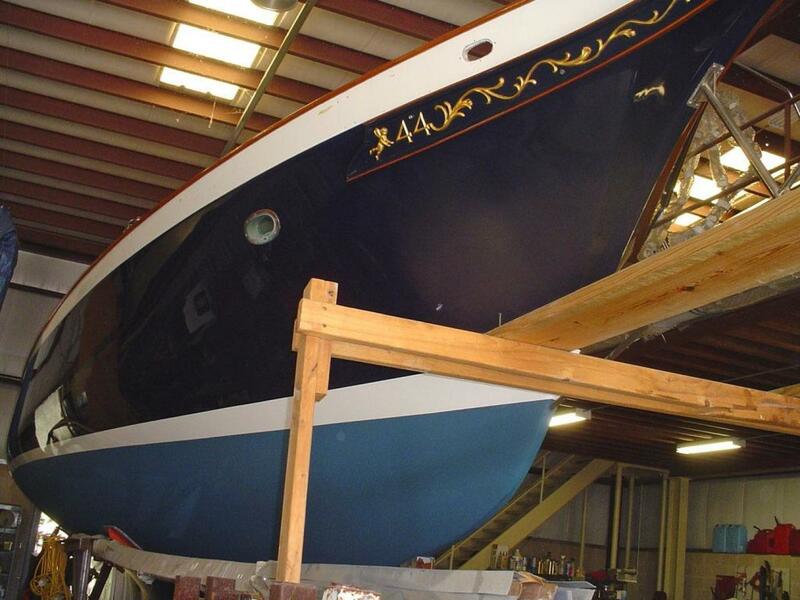 Once back in the water she will be a real "show-stopper" that will make everyone's head turn! 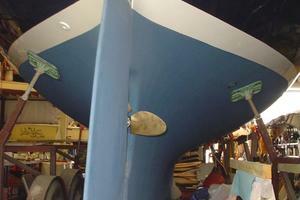 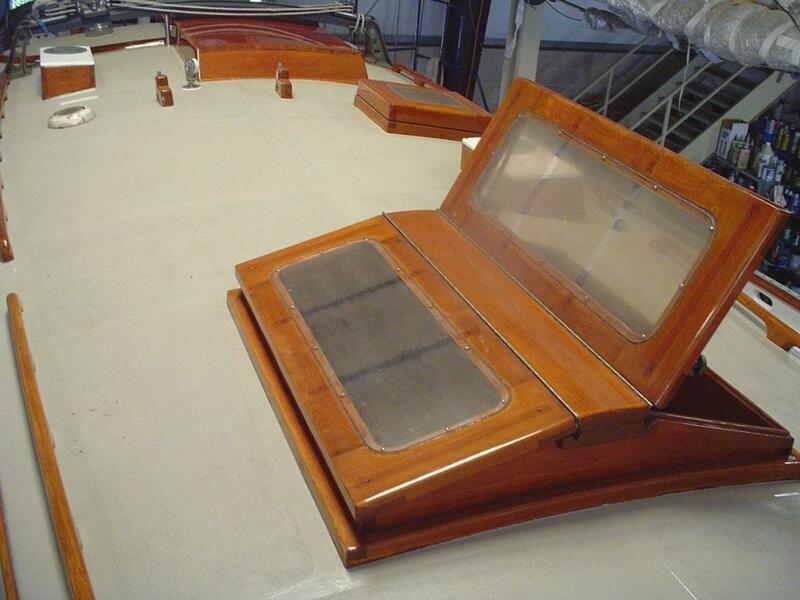 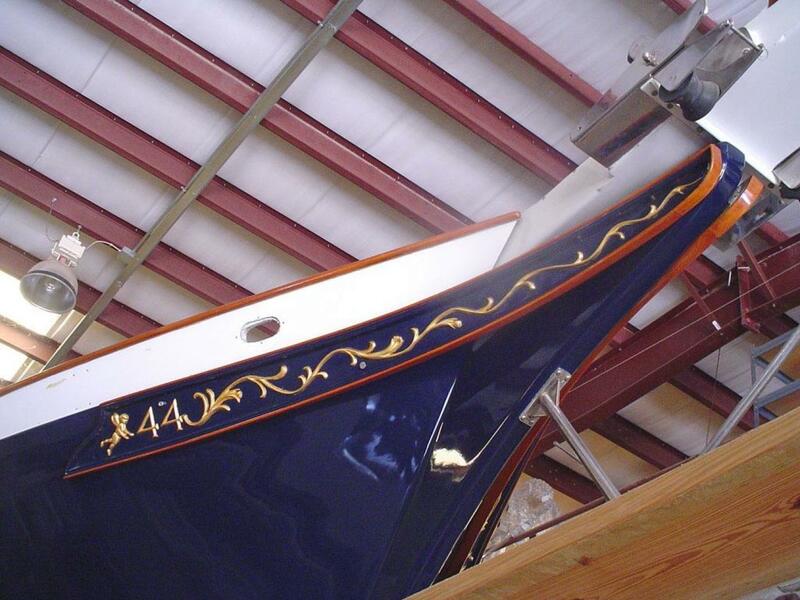 You cannot believe how beautiful she is -- her new Awlgrip marine blue hull and teak bright work make her shine! 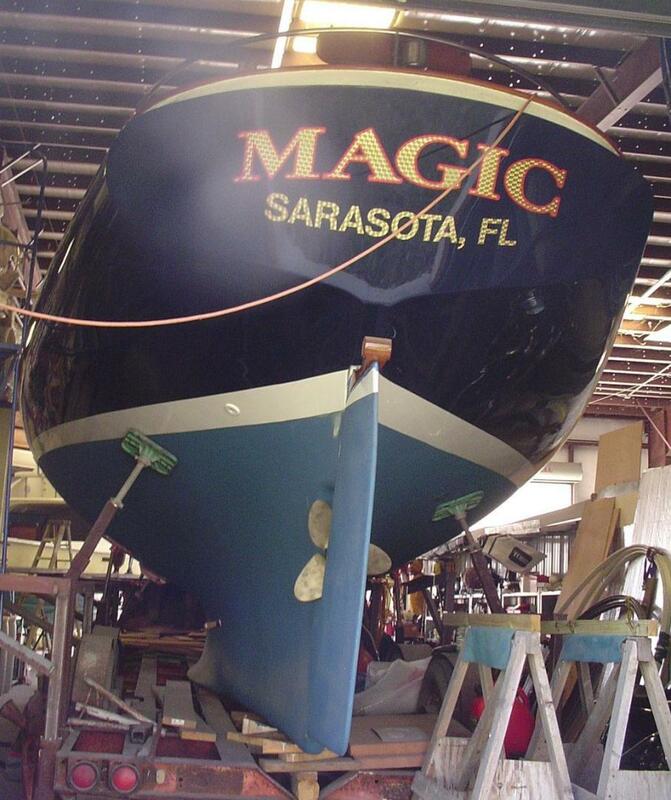 As the lyrics to a popular Jimmy Buffet song go "Bring Back the Magic"; and that is exactly what the Owner has done! 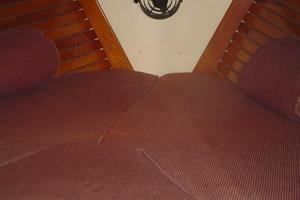 You, too, can enjoy the "Magic"! 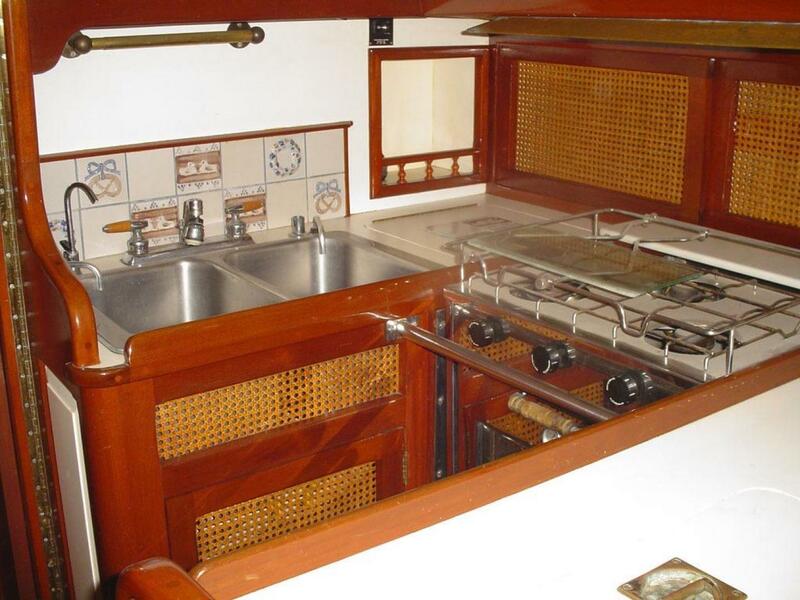 Below deck is an elegant interior,which only Cherubini can bring to life for the enjoyment at sea or in port or at anchor. 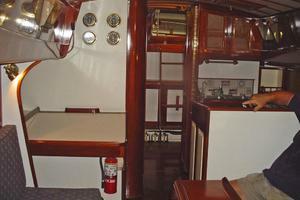 The cabin area have an abundance of hanging lockers, cabinets with drawers, and lots of stowage. 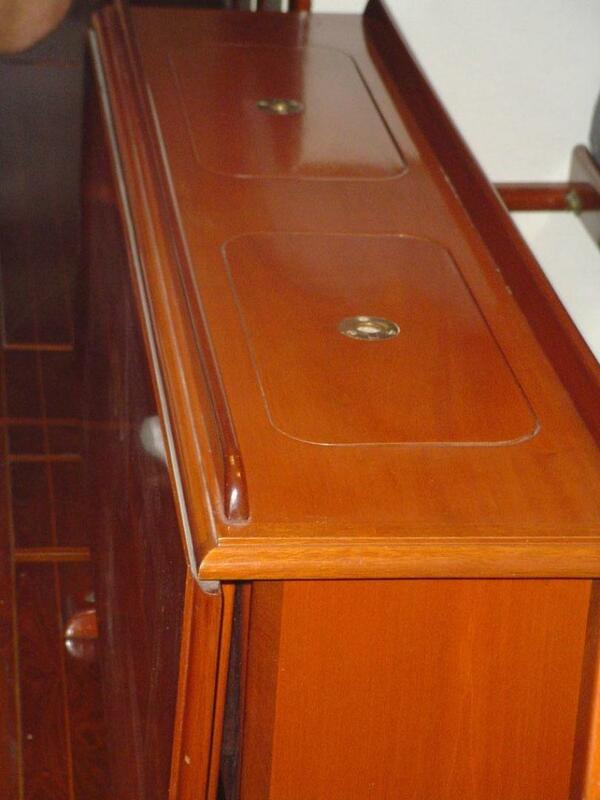 All the stowage and cabinetry doors are beautiful with cane locker doors. 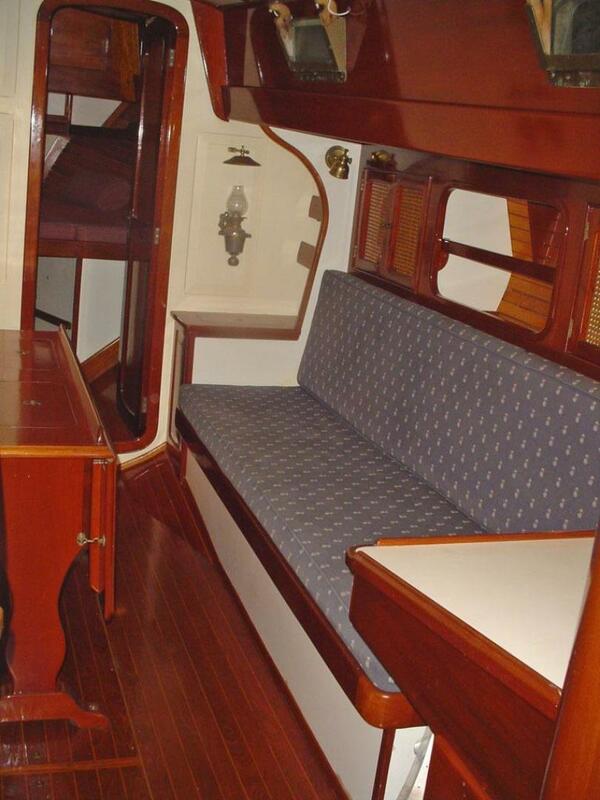 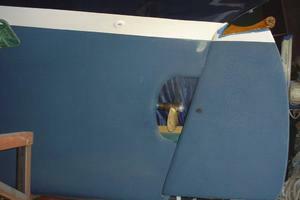 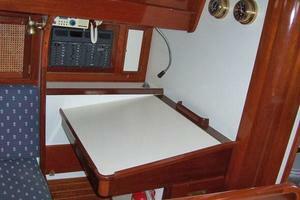 The aft cabin has 3 single berths -- twin berths to starboard and a single berth to port. 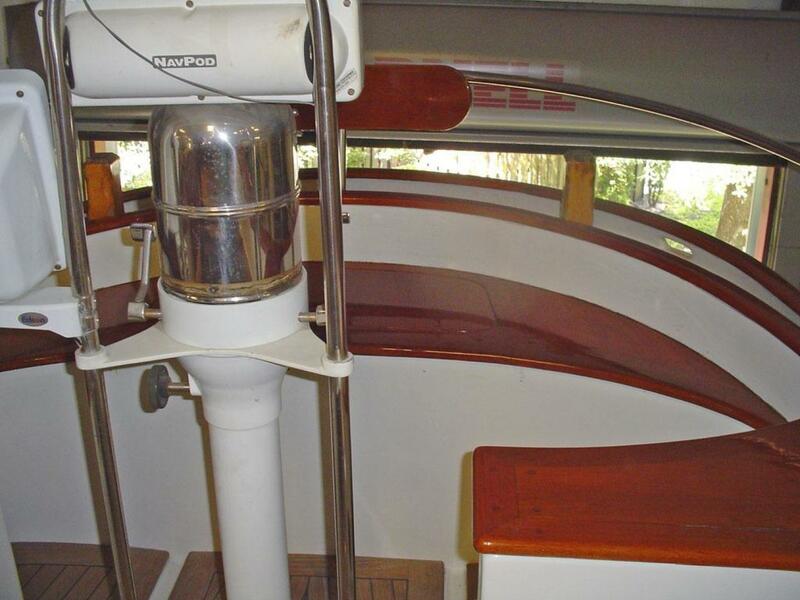 Going forward is the mid-ship Galley to port and head with shower to starboard. 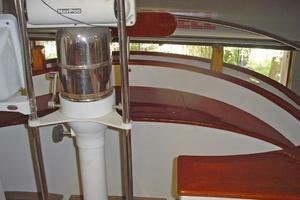 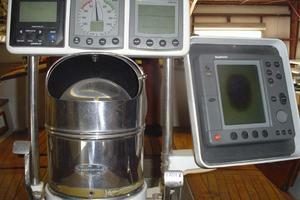 The Navigation Station is just forward of the head to starboard. 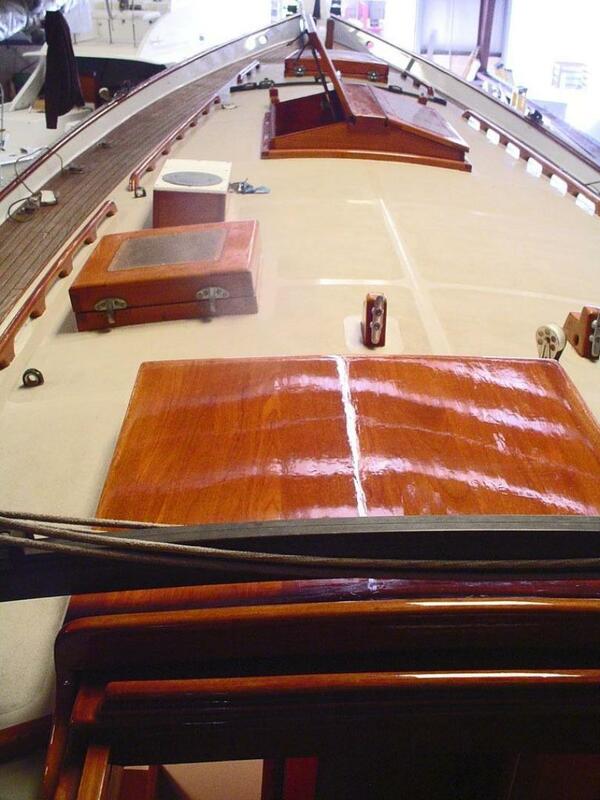 Continuing forward, the Main Salon is quite spacious with 6'6" headroom, a large fold-out dining table and settees to port and starboard. 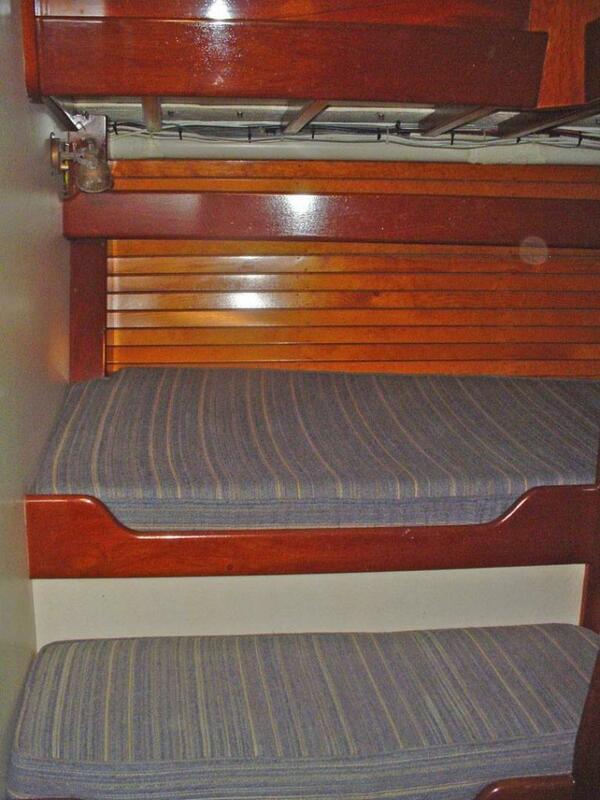 The forward cabin has a spacious double V-Berth with lots of stowage. 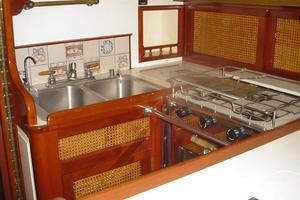 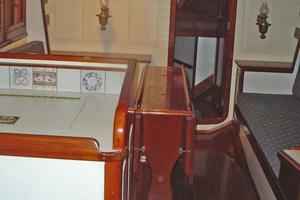 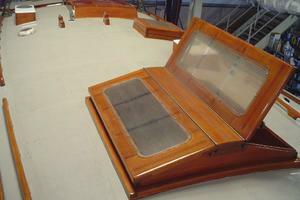 The U-shaped Galley is to port and mid-ship, just aft of the Main Salon and Dining Table. 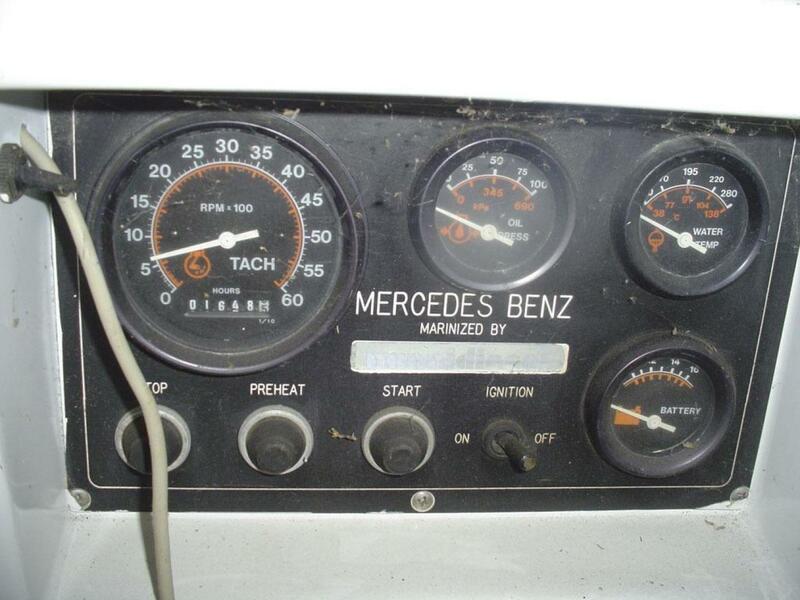 Powered by Mercedes Benz 76HP Diesel Engine w/1648 hours. 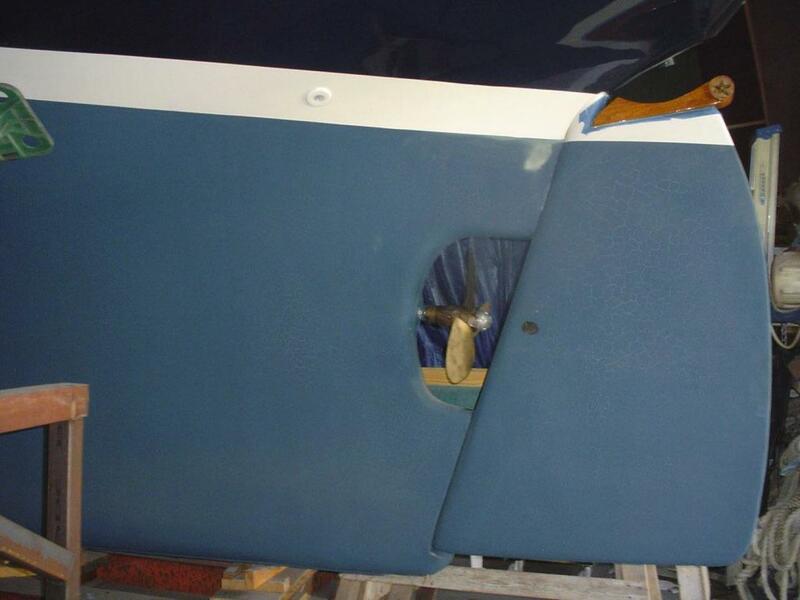 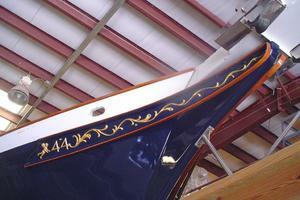 Beautiful newly painted Marine Blue Awlgrip hull with gold leaf Cherubini scroll work. 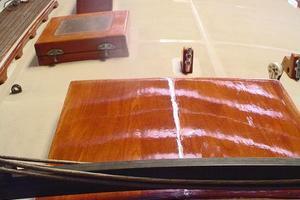 All the bright work has been re-varnished and shines like a "new penny". 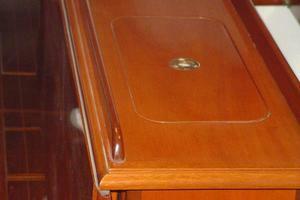 Proprietary Cherubini Portholes -- Open from the top and have a special tray as part of the casting on the bottom that collects any water coming in and drains it outside the cabin. 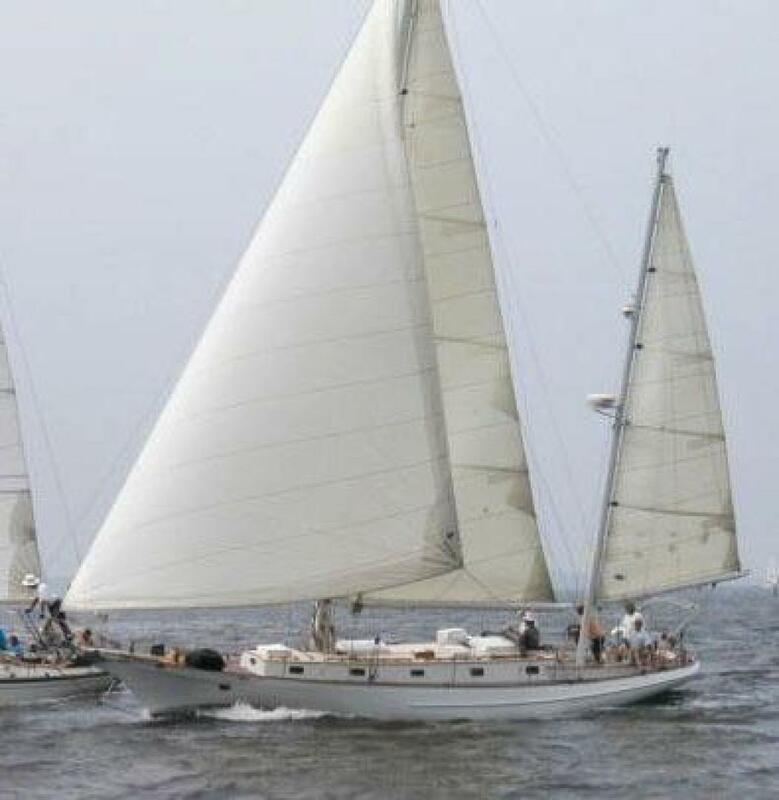 Designed in the tradition of L. Francis Herreshoff's "Ticonderoga," the Cherubini 44 with her sweeping sheer, low freeboard and raked spars recalls the elegance of a bygone era. 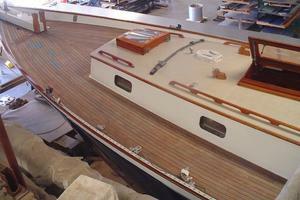 Yet she is a yacht for today, incorporating the latest in high-performance hull design and construction technology. 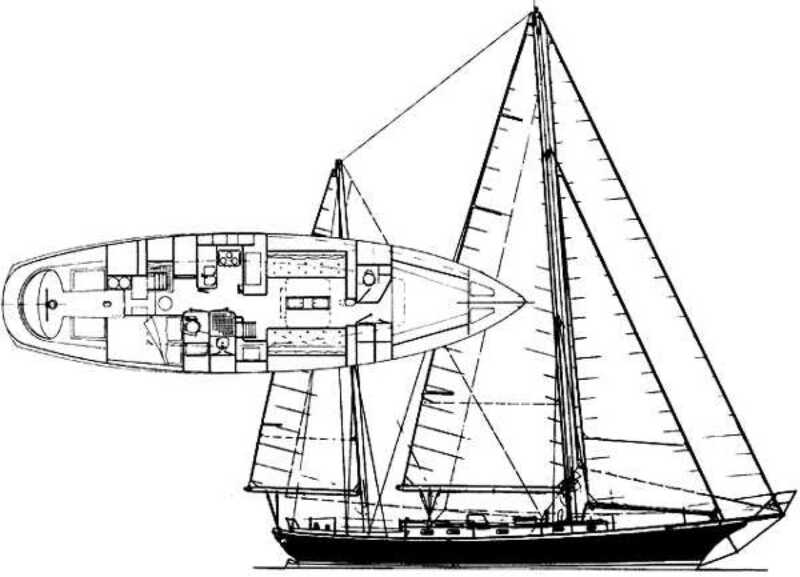 The Cherubini 44 was conceived as a cruising vessel - easy to handle with just two people, with a seakindly motion and luxuriously appointed accommodations. 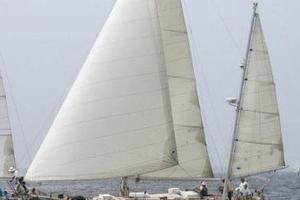 She is, nonetheless, a proven performer that has lead her class in many prestigious offshore races. 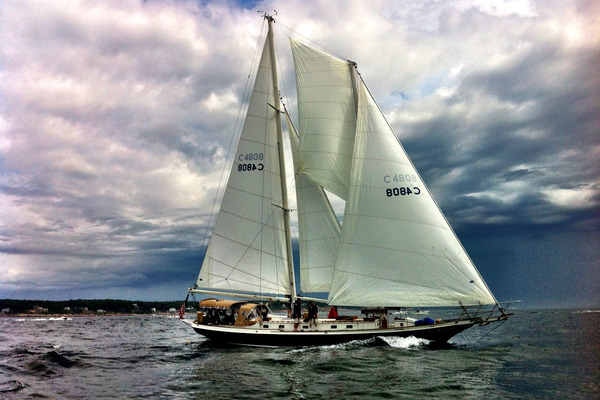 She's surprisingly close-winded and is able to ghost in the light airs of summer, yet she will beat to windward in Force 6 winds and 7-foot Atlantic seas with nothing more than blown spray on her decks. 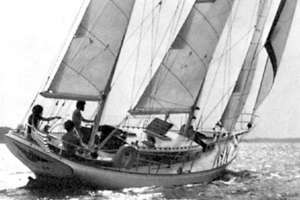 Her revolutionary Scheel Keel enables her to climb to weather like a deep-keeled vessel, while she maintains all the cruising flexibility of a shoal-draft boat. 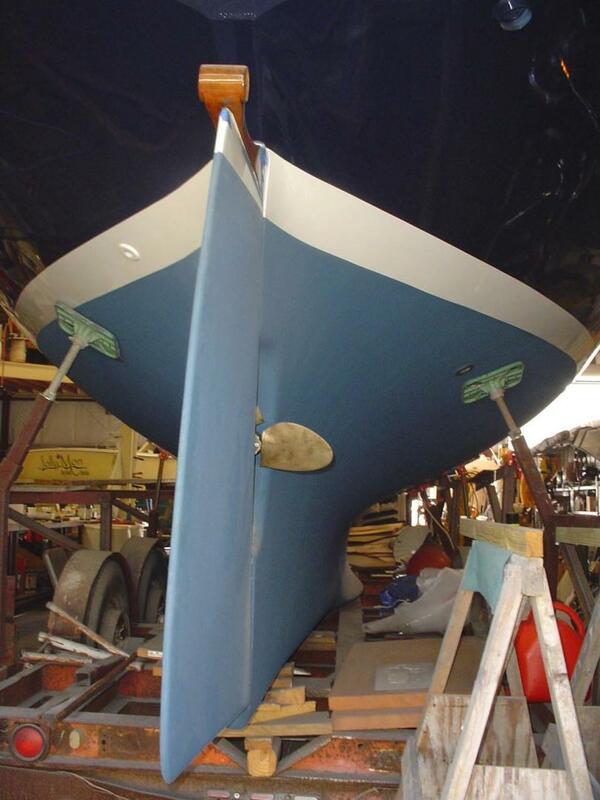 With a draft of only 4 feet 10 inches, there are no problems getting into any harbor or anchorage. 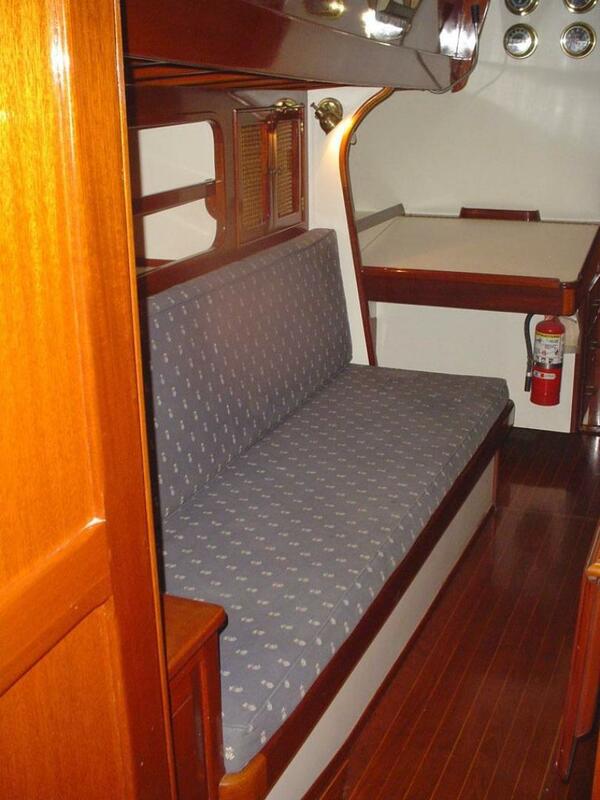 And snugged down at night, the Cherubini 44 becomes a gracious floating home.